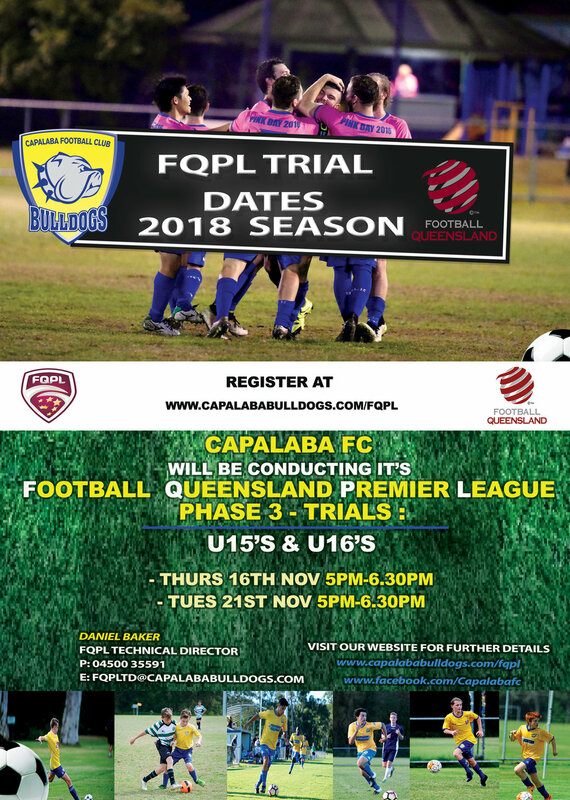 FQPL U15's & U16's Phase 3 Trials - REGISTER NOW! Please ensure you bring suitable training gear (Shirts Shorts and socks), boots, shin pads and a drink bottle. Goal Keeper Academy... Register now!